I swapped out the headlight switch hoping to solve my missing dash lights. Well, not only did it not fix my dash lights, now by turn signals don't work (they worked before I swapped out the headlight switch). I've glanced at old topics in this forum and in others, but don't recall seeing anything on either of these issues. And yes I keep wondering whether I accidentally pulled a wire that was connected to the turn switch, but they do still seem to be connected. Swap out all the fuses? So anything to point me in a direction for either or both issues. Back of my mind I'm wondering whether I need to go nuclear and swap out the harness...but that's due to frustration. 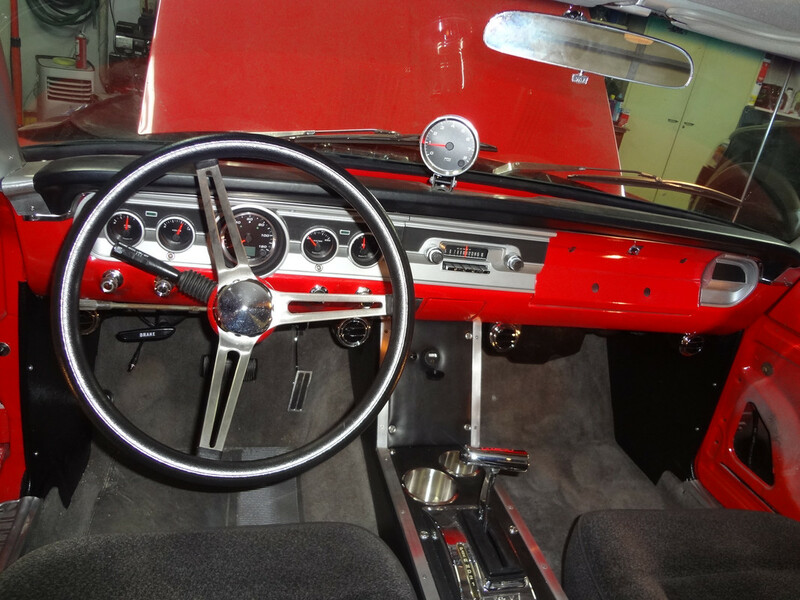 Not sure if a 63 is the same, but my 64 has an inline fuse for the dash lights. Its mixed in with the wiring that goes up to the instrument cluster. The fuse in my car blows about once a year for seemingly no reason. Its a short little glass fuse, about 5A if I remember correctly. redhotcomet wrote: Not sure if a 63 is the same, but my 64 has an inline fuse for the dash lights. Its mixed in with the wiring that goes up to the instrument cluster. The fuse in my car blows about once a year for seemingly no reason. Its a short little glass fuse, about 5A if I remember correctly. A 65 wiring diagram shows a inline fuse after the light switch going to the dash lights. The wire is blue/red in color and connects to the I terminal on the switch which is on the right side closes to the pull lever. Not sure if that's the same on a 63 or not. There is a circuit breaker in the switch that can go bad, but if your headlights and tail lights work then that breaker is good. I had to replace the switch to fix my problem. I drove my Comet when I was in high school with no dash lights for a couple of months, I had to use the high beam light to tell how fast I was going because the needle would cross it at 60mph, that was only when on the highway because in town the street lights gave enough light to see it. I guess I must have changed that fuse but can't remember, I did fix them and never had to fix them again. I guess from that you could say the dash light are on a separate fuse than high beam indicator and turn signals etc. Pulled the headlight switch out and changed all the fuses. All were good although a few appeared to be "growing" things in them. BUT when I was swapping out the Rear / signal fuse I noticed that there was a very small movement in the lead attachment to one end of the fuse bracket...just enough movement to create a disconnect. So I grabbed some electrical tape and compressed the corner to keep the connection. AND that solved the turn signal issue. Also found the inline fuse (think it was 4.5A) and replaced it. It was blown. Regretfully that didn't solve the dash light issue, so I'll track that one down next - checking the fuse to see if it blew again (short), check switch just to make sure the rheostat is working, check line, and then finally check the dash bulb.